-Single Dynamic Driver produces clear sound with deep bass in a convenient and portable package. Special Edition (SPE) white and blue versions have distinctly tuned frequency response for extended bass. -Detachable cable system enables multiple connectivity options for long-term device compatibility, upgrades, and ease of maintenance. -Sound Isolating design blocks up to 37 dB of outside noise for immersive listening no matter where you are. -Secure, over-the-ear configuration keeps earphones in place and cables out of the way for unmatched, long-wearing comfort. -Wireless models pair with most phones, laptops and tablets with Bluetooth 4.1 connectivity, and provide up to 8 hours of battery life and 30 feet (10 meters) of wireless range. -Universal communication models (-UNI) come equipped with remote + mic control and selectable iOS/Android functionality with 3.5 mm connection. -Inline remote and mic on select models offers seamless control for phone calls, voice commands, and easily accessible operation of volume and music playback. -Include zippered carrying case and fit kit with selection of sleeves for personalized fit and comfort. 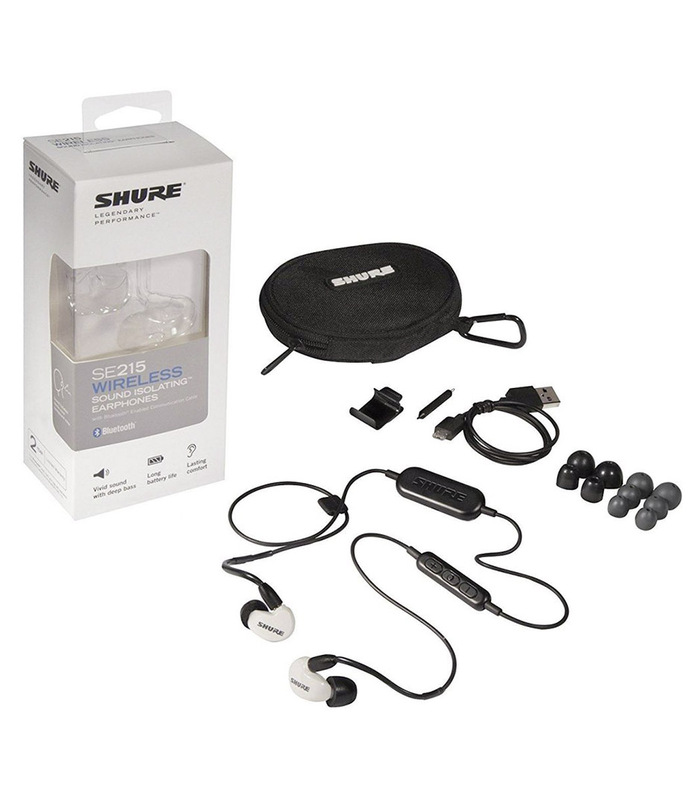 Se215spe B Bt1 Efs from Shure is 100% original and brand new. We, at Melody House take pride in our after sales service and support. For further details on the se215spe b bt1 efs, Shure, simply write to us to consult an expert or order online and we will take care of the rest. Happy Shopping!